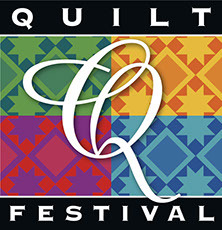 (Get a sneak peek at Quilt Festival before the show opens. All booths open and all quilts on display. Class enrollees and IQA Members get in at 5 pm. Public entry at 7 pm. The show floor closes at 10 pm). NOTE: If you are enrolled for a class at Festival, you do NOT need to purchase daily admission tickets. Your badge serves as entry to the show.